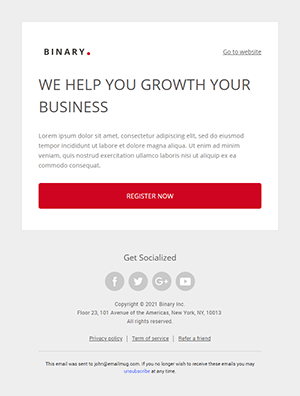 We create Newsletter which delight visually and functionally, you will not believe the number of amazing options available inside. 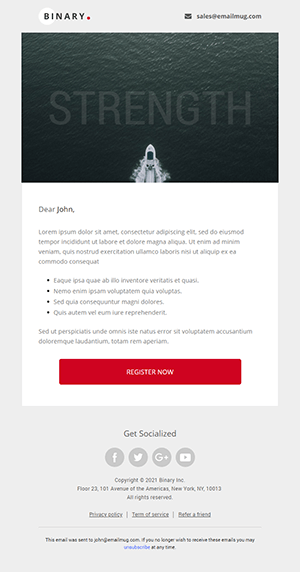 Simplify email comes with 19 unique pre-built modules that can be used as is, or you can create another unique email with 19 pre-built modules for your next campaign. 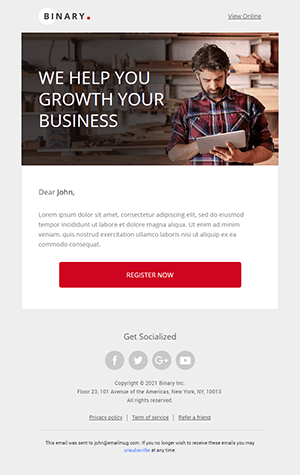 A fully hand crafted design created based on minimal view and modern look, easily match your app, shop or service branding with one of the 26 included themes. We provide an optimal viewing experience across a wide range of devices & screen sizes, surely look stunning on your reader devices. We provide our customer a premium & friendly support, every messages will replied in less than 24 hour guaranteed. 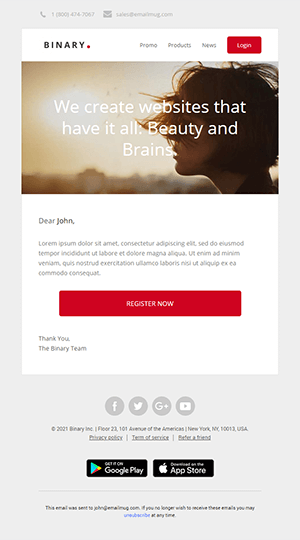 With the latest technique of email coding, now we can guarantee image background is fully supported in every email client even in outlook. 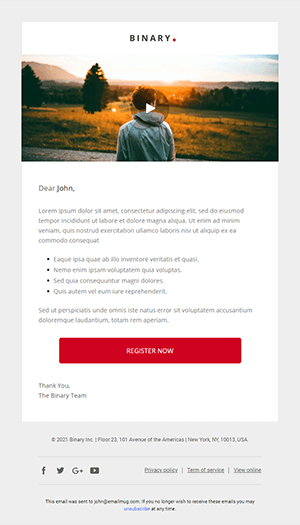 Make any email design stand out by using a combination of the 50+ modules that come with Simplify. Heros, portfolio grids, products grids, team sections and a whole lot more. 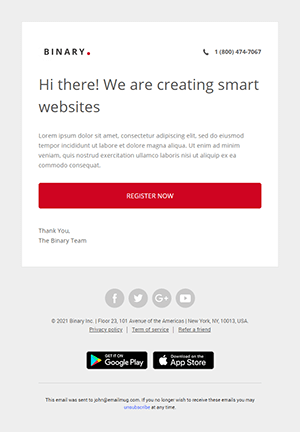 A simple and modern designed email template with 20+ layouts and 100+ modules for business, start up, ecommerce, newsletter and other multiple purposes. Hurry Up Get Simplify now for $18 before $24 for a limited time. 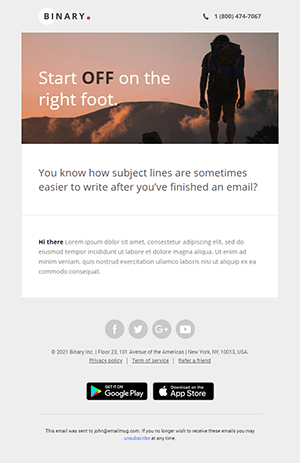 © 2017 Emailmug.com. All rights reserved.